Iranska tidningar på engelska | Vad händer i Mellanöstern idag? Journal of the left dealing with issues of Iran and the Middle East from a democratic, secular and socialist perspective. Daily newspaper from Tehran published by the official news agency IRNA. Daily news articles and online radio. Bimonthly magazine dealing with foreign trade and economic issues. Daily newspaper providing domestic and international news. Features review of Iranian newspapers. USA-based site covering Iran and Iranian American news. Stories on Iran from the world newspapers and other media. Includes weekly coverage of the Iranian newspapers and articles from the leading Iranian journals and international publications. Iran related articles on lifestyle, arts, history, and politics. Aimed for the Iranian diaspora. Provides political, business and culture news. Daily news stories from official broadcaster. News agency covering Iran and the Islamic world. Affiliated to Islamic Propagation Organisation. Site of Middle East Media Research Institute providing analysis and translations of Arabic and Farsi media reports. 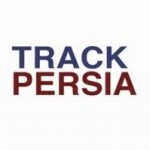 Daily general news of Iran and Iranians from Persian portal. Magazine filled with articles on Iranians news and culture including film reviews, opinions, music, art, dance, more. Iranian international news network broadcasting in English on a round-the-clock basis. Offers expansive news coverage, specifically delving into Middle Eastern current affairs. Bilingual Farsi-English magazine focusing on issues that official or established media seldom do, discovering the development of Tehran’s artistic life through words and photography. Leading English-language daily Iranian newspaper. Internet-based TV broadcasting to Iran. Radio Farda is the Iranian Branch of Radio Free Europe/Radio Liberty‘s broadcast services. It broadcasts 24 hours a day in the Persian language from its headquarters Prague, Czech Republic. Radio Farda first aired December 2002. Radio Farda broadcasts political, cultural, social, and art news with an emphasis on Iran. The name ”Farda” means ”tomorrow” in Persian. Radio Farda’s broadcasts have been continually blocked by Iranian authorities over the history of its programming. News and information related to Ahwazi Arabs. Affiliated to the National Liberation Movement of Ahwaz. News and information from the largest opposition – People’s Mojahedin Organization of Iran.